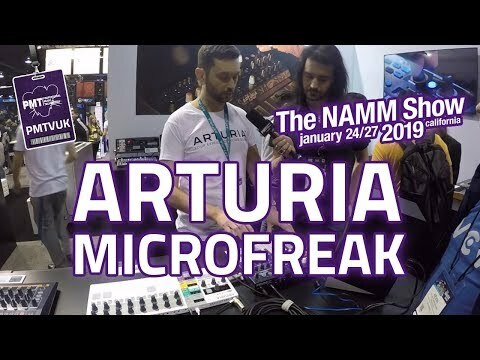 Arturia Microfreak is a bold, ground-breaking hybrid synthesizer that combines digital oscillators with analogue filters into one affordable..
Arturia Microfreak is a bold, ground-breaking hybrid synthesizer that combines digital oscillators with analogue filters into one affordable package. It's like having multiple synths - capable of analogue modelling to FM, karplus-strong to physical modelling, to wavetables and beyond! By joining forces with Mutable Instruments, Microfreak inherits some of the most powerful oscillator models from the Eurorack modular ecosystem. A total of 11 oscillator modes will be included at launch, with new oscillators capable of being added in future firmware updates. MicroFreak pairs these powerful digital oscillators with a rich 12dB/oct multimode analogue filter based on the Oberheim SEM. Microfreak also comes equipped multi-point modulation matrix; a unique sequencer-arpeggiator with controlled randomness “Spice” and “Dice” parameters; a cycling envelope; 128 factory presets, and space for 64 user sounds; and a crystal-clear OLED screen. The end result is a synth that sounds completely unique - a wonderful asset to any sound designer's Eurorack or Modular synth rig for true sound experimentation and manipulation. Or, if you're new to the world of synthesis, Microfreak makes a great starting point with plenty of tools to get stuck into. This pocket-rocket synth features a versatile digital oscillator so you can create rare and interesting sounds with ease. Modes like Texturer, KarplusStrong, Harmonic OSC, and Superwave give adventurous musicians the chance to explore totally new, unheard possibilities. Like having dozens of synths in just one instrument, both wild-eyed newcomers and seasoned professionals will fall in love with MicroFreak’s flexible, powerful synth engine. Record up to four automations, edit notes per step or use the innovative Spice and Dice se-quencer functions to find happy accidents. Add randomization to create evolving, original pat-terns, and virtually rewire and reconfigure its signal chain and controls with the 5x7 modulation matrix. 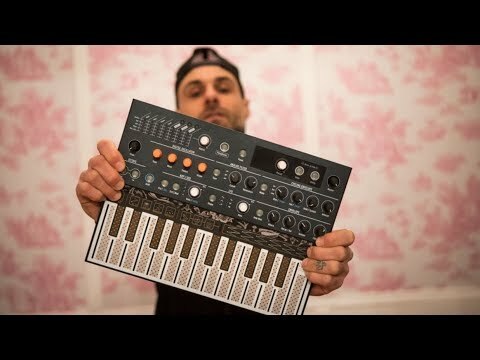 The pressure-sensitive keyboard is truly unique, a welcome change away from traditional 'mini-synth' style keybeds. Its most creative feature is the poly-aftertouch, which means each key can control parameters in a different way depending on how much you touch. This also means that you can also use MicroFreak as a controller to experience polyphonic aftertouch with cutting edge software instruments! If the PCB-style keyboard isn't to your taste, you can always use its USB, MIDI, and CV outputs to control instruments in your DAW and modular synths.